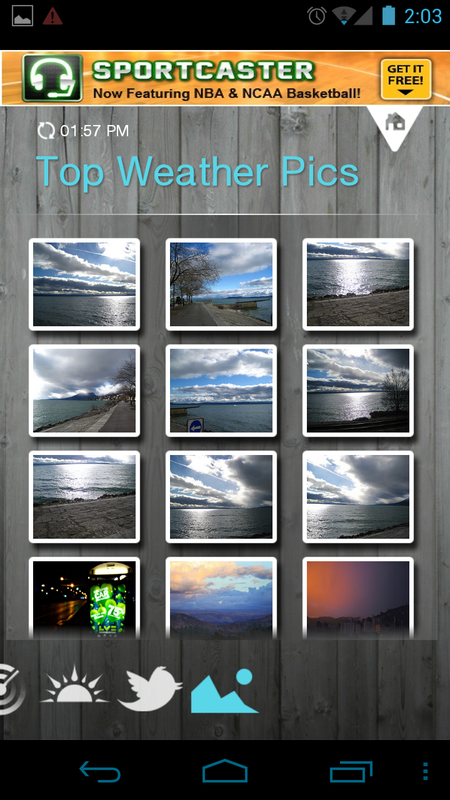 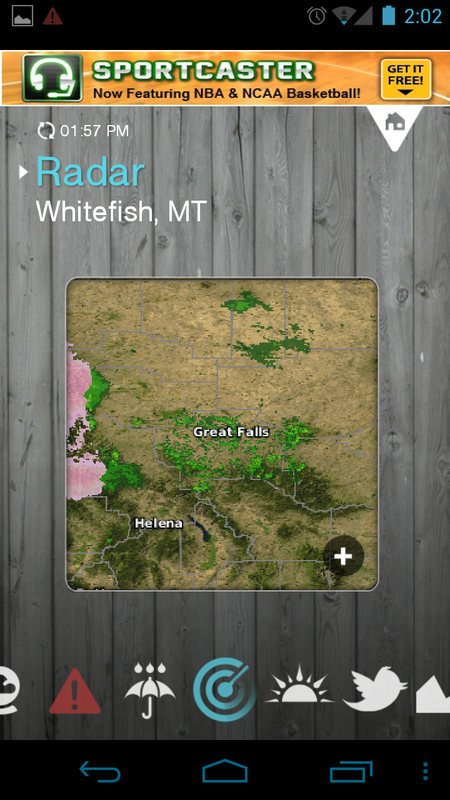 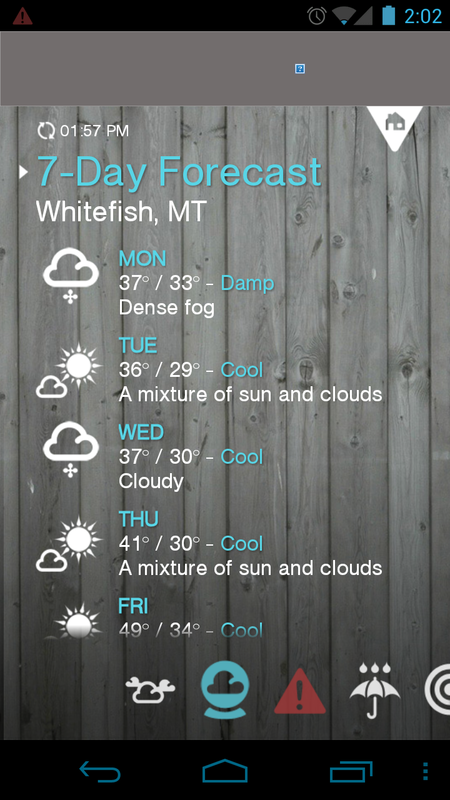 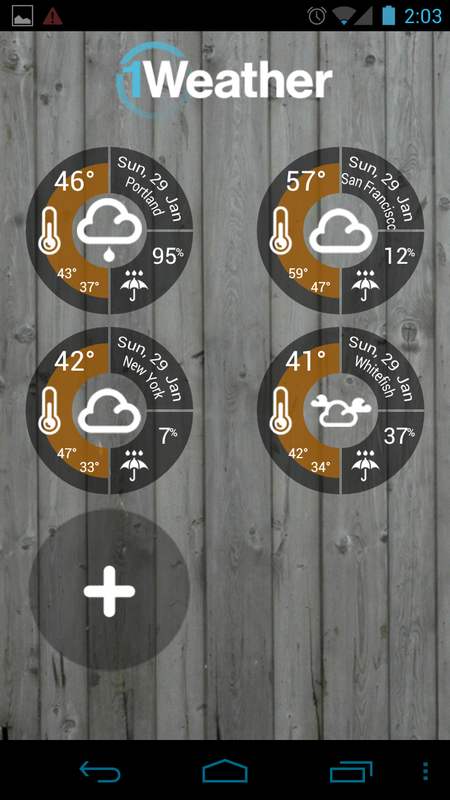 Sick of the old standard weather apps? 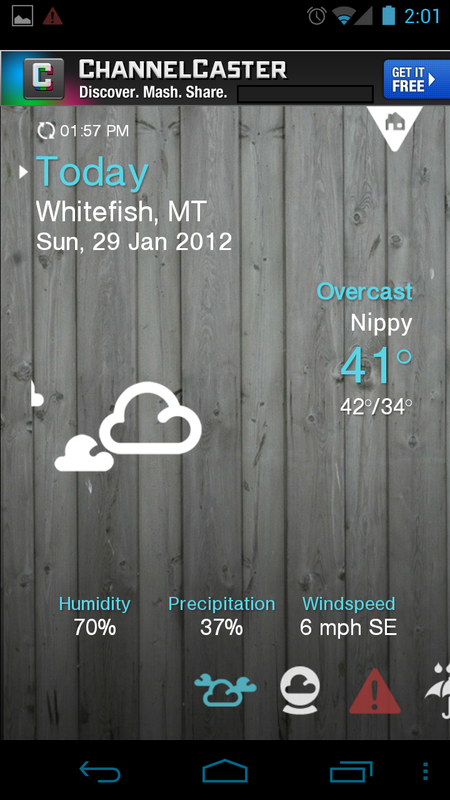 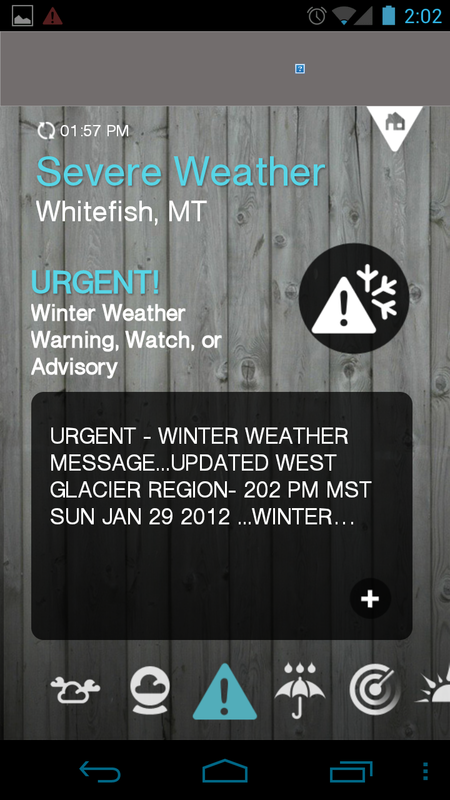 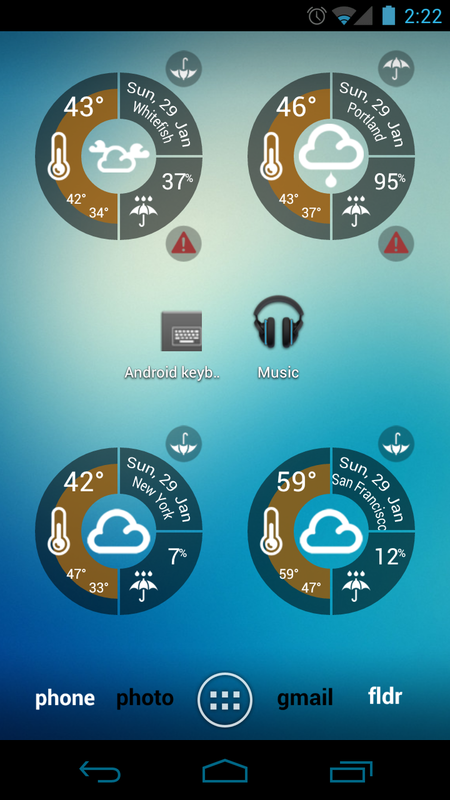 You may want to give 1Weather a try, as it not only matches up perfectly to the styling of Ice Cream Sandwich, but it also packs a punch on the functionality and features fronts. 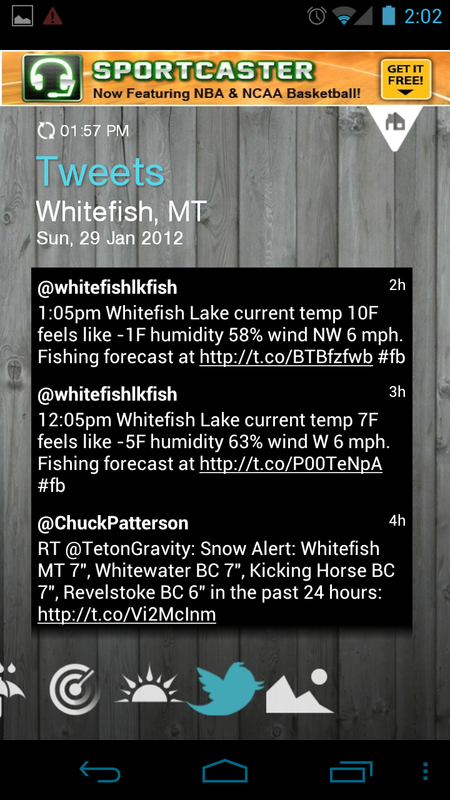 Brought to us from the folks behind TweetCaster and BaconReader, you won’t find many apps in general that look this nice. 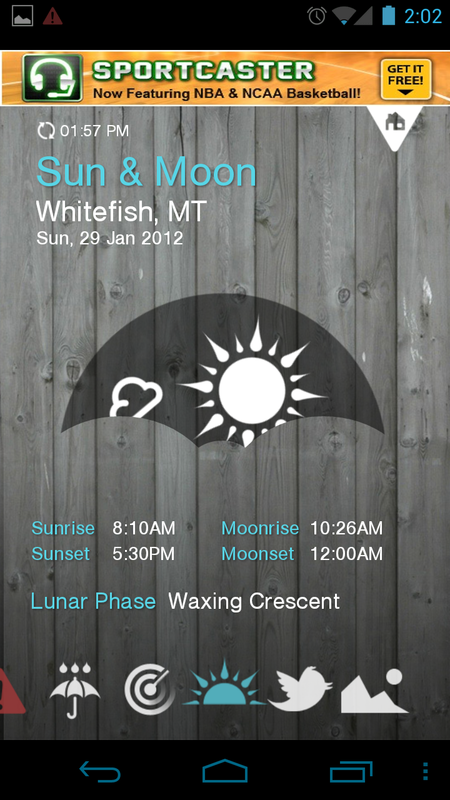 Through 1Weather (which is free by the way), you get current weather, forecasts, warnings, precipitation levels by day, view sun and moon charts, photos of current weather, tweets by location, can set up a variety of your favorite cities or towns, and then add them as widgets. 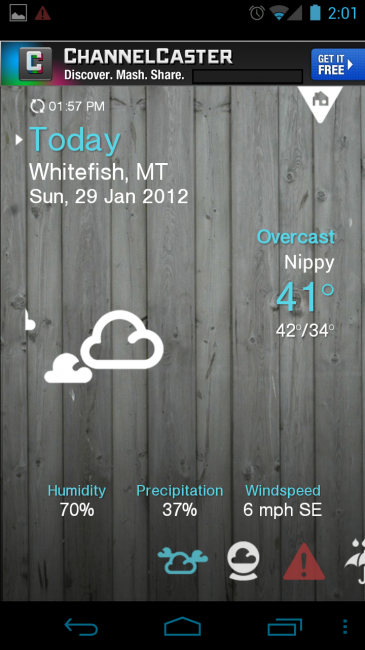 Is this the best weather app available? 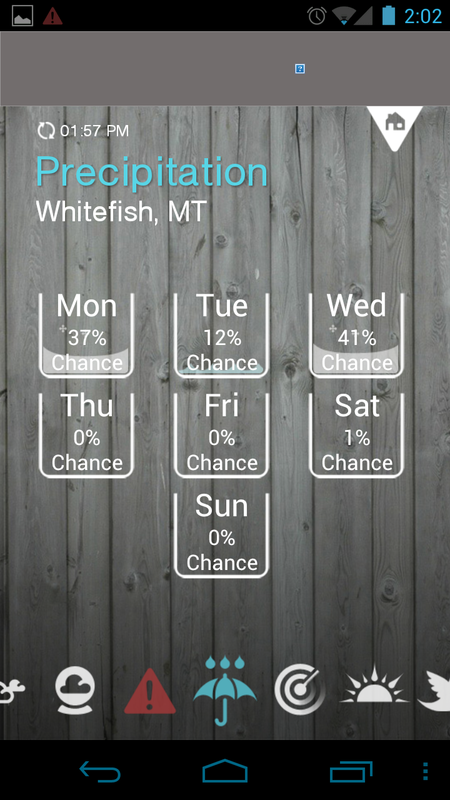 It might just be.